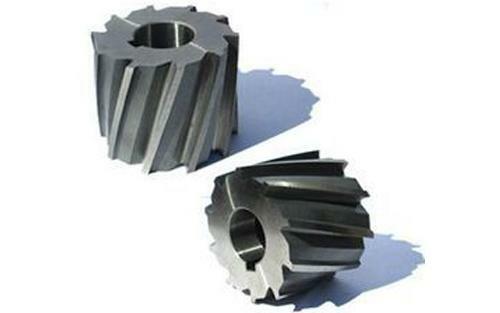 Cylindrical milling cutters are best suited for areas requiring high rate of stock removal. Their teeth are on the peripheral and produce flat surfaces that are parallel to the rotation axis. They are ideal for transferring profiles using several step actions. The need to regrind the teeth depends on the frequency of use and the type of material they cut. The two determine the rate of wear and tear. The material used determines if they will be used for light or heavy duty. High speed steel is the most appropriate for heavy duty cutting. The cutters come in diameters ranging from 6 to 8 inches while the length varies from 16 to 20 inches. Maxwell Tools offers an option to customize your cylindrical milling cutters if your desired dimensions are not among the industry standards. This process is aided by the availability of advanced software that assists in profiling. The engineers are highly trained and experienced to deliver to your expectations. They will consult through the profiling and production process to ensure that your specifications are met. Maxwell Tools has sustained its commitment to quality. This is manifested in the way they choose of high quality raw material and constant improvement of their production processes. There are strict quality assurance inspection exercises during and after production. They are aimed at ensuring that no tool is dispatched with any form of inconsistency. Dedication to the best customer experience ensures that you do not feel like a stranger when returning to make another order. The technicians save your profiles within their database for quick retrieval. The technicians will also advice you when you are developing custom designs. They consider your specifications and then add a professional angle. Maxwell tools are reasonably and competitively priced. This will guarantee the value for money. The company offers a convenient payment platform that includes the use of major credit cards and online transfer options. The checkout system is secure and will not compromise your financial or personal details. Additional services offered by Maxwell technicians make your cutting and milling experience excellent. They include advice on how to achieve efficiency in different application environments and how to ensure that your cutters are durable. Technicians will also address other concerns like the best cutter model to use in any circumstance. Customer care services are elaborate with a dedicated hotline to urgently address their concerns. Another avenue to contact the technicians is through email. It is provided alongside physical address and telephone number on the web. The resourceful technicians will answer all your questions with urgency. You are assured of a memorable shopping experience whenever you visit Maxwell online store.